Choose light or dark wood-tone! Ultrasonic Aroma Essential Oil Diffuser: Aromatherapy, humidification and night light 3 in 1. 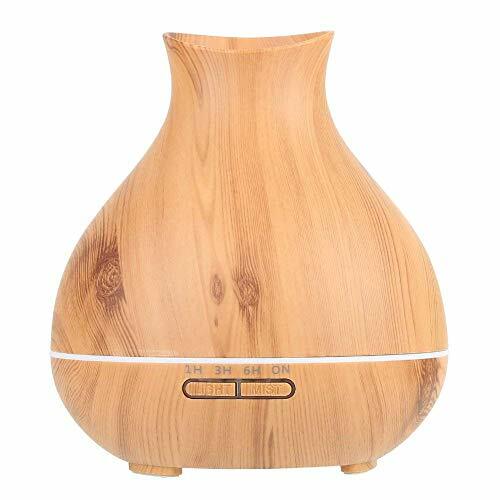 Aromatherapy diffuser infuse lovely fragrance cool mist and improves the quality of the air, which is perfect for relieving modern day stress and creating a comfortable and relaxed environment. Unique and Excellent Design: The aroma diffuser design with beautiful wood grain. It can be used as a diffuser, and also can be displayed as a decoration or a night lamp in your living room, home and office.